Sidley Diamond Tool, located in Garden City, MI, has been creating custom tooling since 1956 and received ISO-9002 certification in 1999. 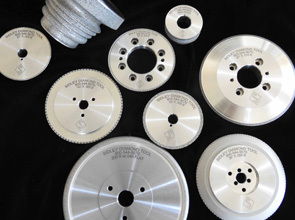 Our team manufactures industrial diamond tools, diamond dressing rolls, PCD and CBN inserts and tools, single pass hones, and honing machines. We’ve built our business on serving industries that are fueled by progressive change and innovation. Sidley Diamond Tool Company is fully computerized with CAD, and our systems are compatible with nearly any computer via IGS files. This allows us to facilitate the accuracy and communication needed to maintain our standing as a top supplier in the industry. Our customer base includes: automotive, farm implements, aerospace, job shops and many more related industries. We are known in our field for our technical excellence, reliability, cost-effective pricing and fast, on-time delivery. Our quality assurance methods are second to none and designed to stop problems before they start, all while maintaining complete accuracy and consistency. In the production process, the Sidley Diamond Tool manufacturing department works in tandem with our engineers to ensure both high-quality standards and complete satisfaction. Using these methods, we are able to continuously improve our products and maintain our enviable reputation for exceptional quality. 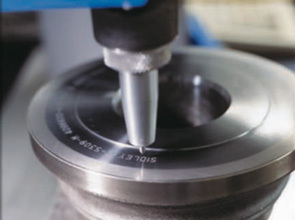 To discover if Sidley Diamond Tooling Company is the ideal choice for improving the productivity, efficiency and profitability of your manufacturing process, please contact us today to discuss your goals and receive a free quote.